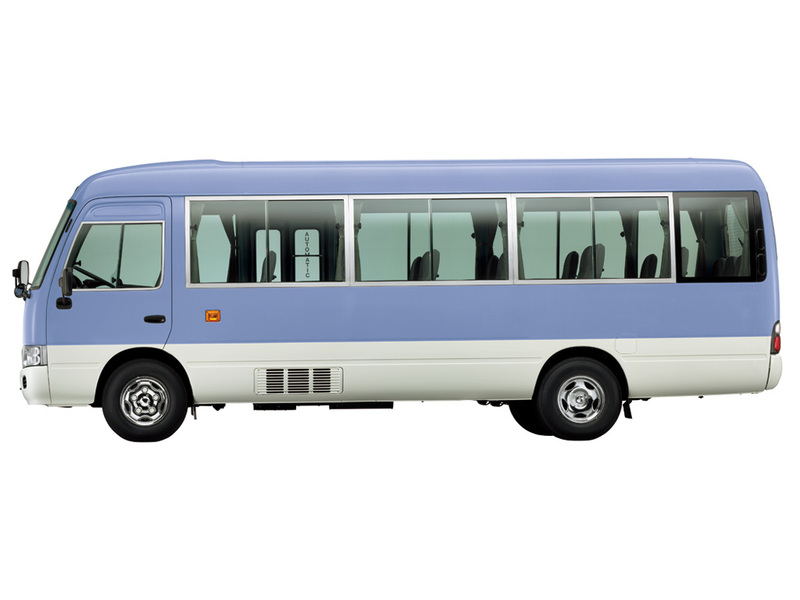 Minibus, 3.7 litre Diesel or 4.2 litre Diesel engine, Manual transmission, 26 or 30 seater option. The Coaster delivers precise handling, with extra reserves of power and comprehensive safety amenities. 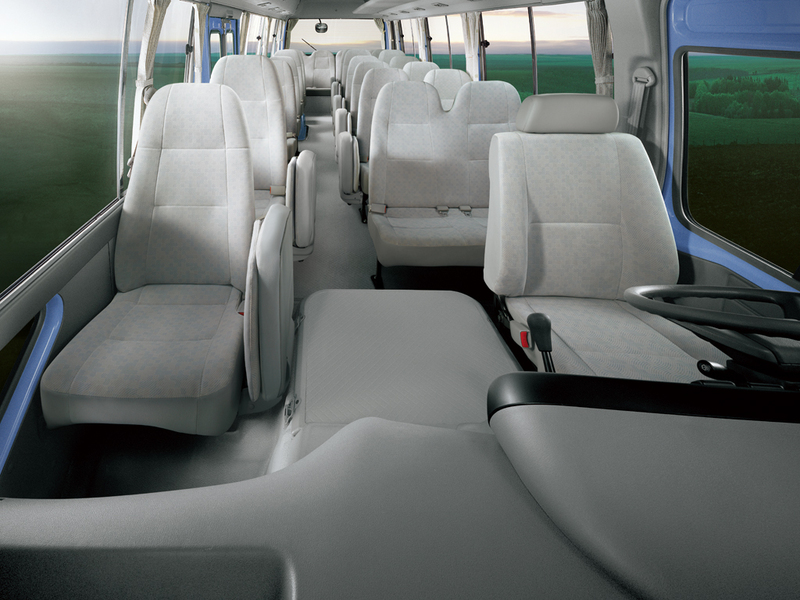 Its pleasant interior, spacious and comfortable cabin is just one of its features. 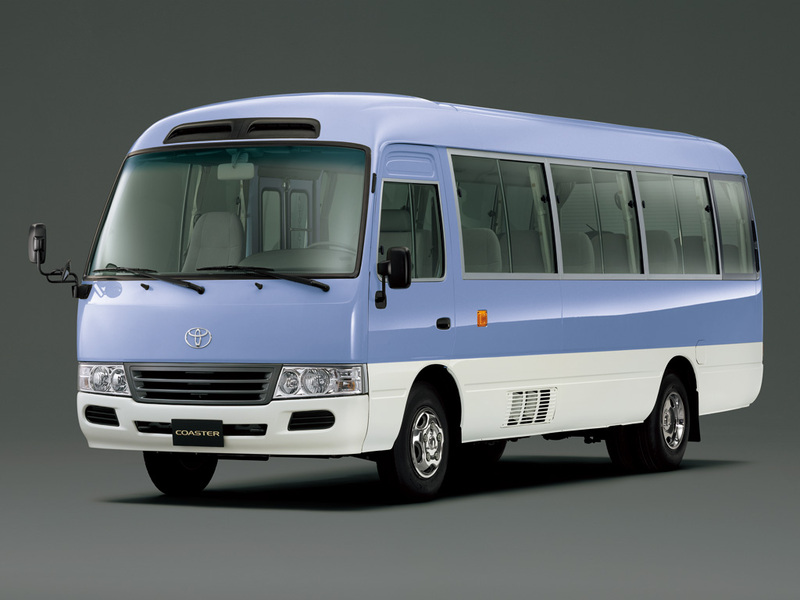 The diesel engines were developed with Toyota’s advanced engine technology that is fuel efficient and powerful. Packed with many safety features it allow the driver to play an active role in safe driving. These include, the large windshield, the driver’s safety window and the easy-to-adjust seat position that help the driver detect hazards by offering a clear and expansive all-round view.